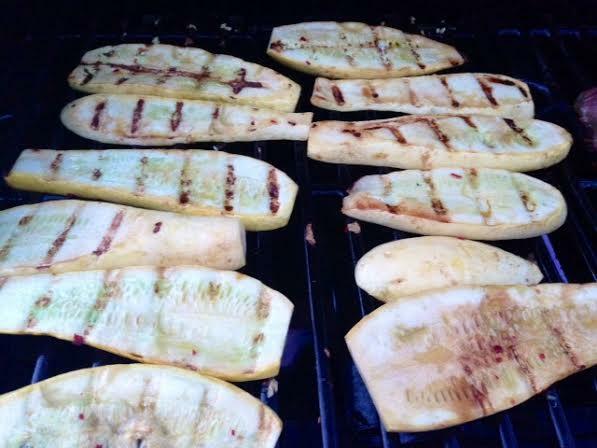 Grilled Summer Squash With Tamari & Hot Pepper. We recently got a grill so it’s been really fun experimenting with different foods and recipes. This grilled summer squash makes a great light meal or side dish. The Tamari and hot pepper add just the right amount of zest. It’s incredibly simple yet so flavorful and delicious. Put the sliced squash in a mixing bowl and pour the Tamari and olive oil over top. 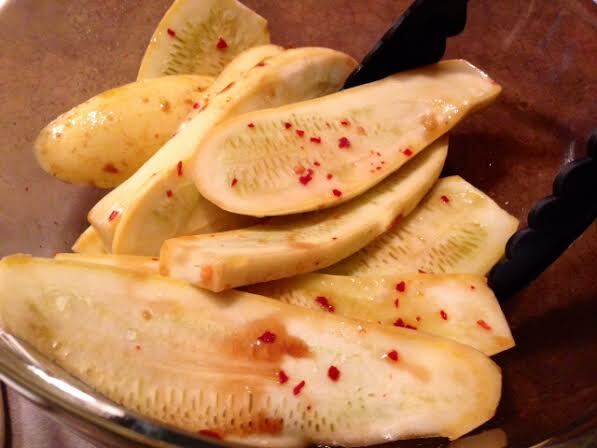 Season with a sprinkling of hot red pepper flakes and mix together so the squash is evenly coated. Allow the squash to sit for 30 minutes to an hour. Heat the grill and once hot, spray with a non-stick cooking spray. 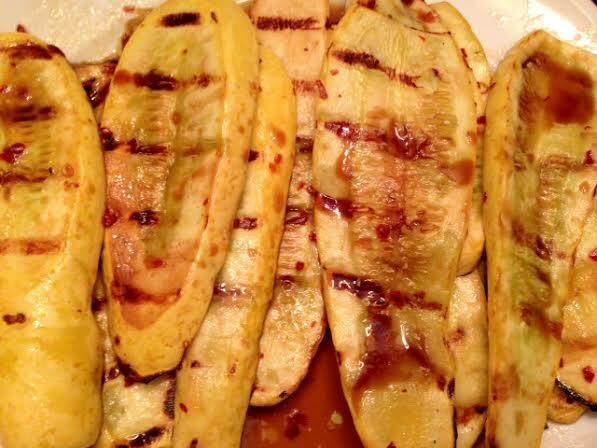 Place the squash on the grill and cook for about 5 minutes on each side. You’ll know it’s done because the squash will soften and there will be distinct grill marks. Plate the squash and pour some of the remaining liquid from the mixing bowl on top.